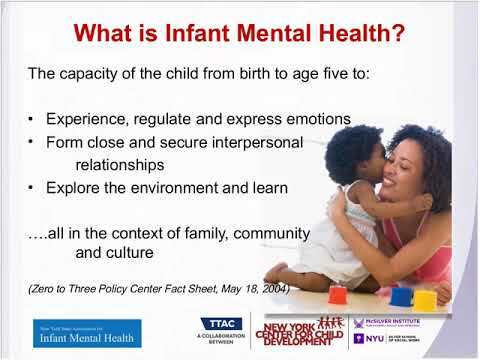 This webinar focuses on the unique mental health needs of infants and young children and the provision of mental health services for children under the age of 5. Participants will learn about key principles, skills, and strategies, including: the importance of attachment, relationships, responsive caregiving, as well as challenges that can disrupt these processes. Relationships that are socially and emotionally responsive form the foundation of healthy development for infants, toddlers, and preschoolers. Participants will gain a better understanding of the mental health needs of infants, toddlers, and young children and their families and how to support healthy social-emotional development.